Maximaliseer uw tijd in de spectaculaire stad Houston met een onmisbare Houston CityPASS. Uw stadspas is inclusief gratis toegang tot vijf van de belangrijkste bezienswaardigheden van de stad, waaronder het Downtown Aquarium, het Space Center Houston en het Houston Museum of Natural Science. Geniet van gratis toegang tot twee extra attracties naar keuze en maak een keuze uit het Museum of Fine Arts, met meer dan 60.000 kunstwerken, of de dierentuin van Houston; Kemah Boardwalk Hele Dag Ride Pass of het Children's Museum of Houston. Wanneer je klaar bent om de stad Houston te verkennen, kun je eenvoudig je Houston CityPASS ophalen bij een van de inbegrepen attracties en eropuit trekken om eersteklas attracties te ontdekken. Gebruik de nuttige informatie in het boekje om uw excursie te plannen en geniet van de vrijheid van de geldigheidsperiode van de pas van negen dagen. Geniet van de toelating tot het Downtown Aquarium, het Space Center Houston en het Houston Museum of Natural Science en selecteer twee van de volgende vier attracties; Museum voor Schone Kunsten, Houston of Houston Zoo; Children's Museum of Houston of Kemah Boardwalk Hele Dag Rit Pass. The address for the Houston Zoo is incorrect on the sheet that we downloaded. We had not got our booklets as of yet. The zoo was to be the first place we visited. This is were we would get the booklets.  You show on the sheet that the address is 6200 Golf Course Dr. This is in the West part of Houston and miles from the correct location. We spent over 2 hours trying to get to the right place and had to drive many miles out of the way. This was a very bad mistake to make and cost us time and money we did not have. It's very good deal! I really like this one. We enjoyed the visits to Natural Science Museum, Zoo, NASA and Aquarium. Aquarium had a rare white tiger. It was amazing. But we thought a tiger should be in the zoo! Only disappointment was the Kemah boardwalk. We went around 7 pm, and there were not much. Most of the stores were closed, and some rides were not working. But, overall, it is worth the money you spent! Great trip, we had a blast. Best way to see Houston. Love it!!! Excellent and worth for cost. 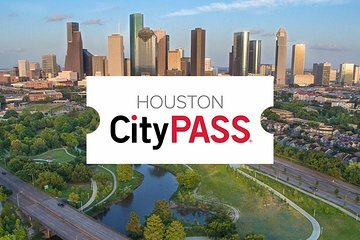 Houston City Pass is really worth to buy! especially because there no time limit, so you can use one coupon today, another tomorrow... etc . We use it all - every coupon! Its great transportation in downtown, so be went by bus and train everywhere! We hit Museum of Natural History - beautiful place, with awesome dinosaur skeletons and even a famous Rosetta stone! And located next to an awesome park with lake boat rides and great train ride for kids! Children's Museum - oh, what a wonderful place, with almost gravity-defying climbing construction, room for make all kinds of projects and check if they work - like, put parachutes in air tunnel and watch them fly! Or make and start a rocket! Or program a real robot! Interesting for little kiddies too - they can enjoy shopping in store or go to the bank and use real ATM card! And of course they will enjoy yard where they can play with water and boats! Aquarium - wow, all day fun for one price -train, carousels, ferris wheel, etc - and when you done there, you can take horse carriage ride thru downtown skyscrapers back to the hotel! Located by the river, so you can take peaceful walk by the water, too..
Space Center - you can see real spaceships and even get in! Touch the history! Take pics! Just make sure you come early and not in rain so you can take that ride around Space center facility, and, if you taking bus to go to the Space center - do it on weekday, buses didn't work on weekends, but I really recommend go there by bus - it was fun ride, because for some reason road there slightly narrow and bumpy in few spots.. Also there for extra price couple of interesting machines what can help you enjoy flight in airplane or even in shuttle! Only one thing was disappointing - there no bus to the beach or Kemah... and when we went to Galveston by Uber, we have an awesome time on the beach, which has nice mild sand and very warm water, and then we have nice lunch in Golden Corral right by the beach - and it was truly amazing menu in GC on Galveston - but when we try to get back from Galveston to the Houston, we stuck there, because it comes out Uber don't pick up travelers from Galveston - because Galveston administration banned Uber from Galveston, and if you go there by Uber, then you'll have to take taxi for the way back... which can result in around 140 one way - 3 times more than Uber... so better rent a car if you want hit the beach! Zoo is great in Houston - its on edge of that beautiful park, close to Naturel History Museum, and zoo even have Red Panda and golden monkey! We see some funny ducks with ducklings walking around the zoo... And zoo has spotted African dogs! And great water playground for little kiddies - so don't forget swimsuit and towel!